Tom has been part of the NEPC team since 2002. 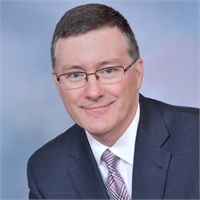 He’s held a Certified Financial Planner (CFP®) designation since 1990, obtained his Chartered Financial Consultant (ChFC®) designation in 2011, and his Retirement Income Certified Professional (RICP®) designation in 2015 from the American College of Financial Services. Before joining NEPC, he started his career as an accountant at PriceWaterhouse in New York City and became a CPA in 1986. He has been awarded the prestigious Five Star Wealth Managers Award five times since 2012, which is highlighted in New Jersey Monthly magazine. This award is obtained by the quality of service and knowledge that he provides his clients. He is part of the Executive Management Team at Northeast Planning Corporation. As Director of the Investment Department, he provides a layer of specialization to the 70 plus financial services professionals at the firm. His responsibilities include all areas of investment policy and design as it relates to the unique macroeconomic financial planning model that the planners at NEPC provide to their clients. Although an executive in the firm, Tom still enjoys maintaining and growing his personal practice and keeping to his hands on approach with his clients. The University of Scranton, BS Accounting, 1983.